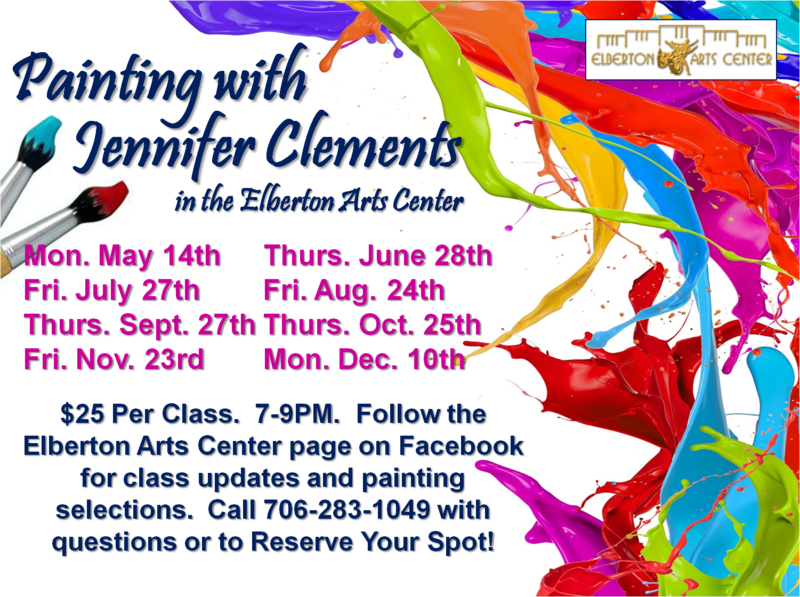 The Elbert Theatre Foundation is offering instructional paint classes once a month through December 2018. These classes will be lead by Jennifer Clements. Classes will be held in the Arts Center meeting room. Each class is $25 per person and students will be provided with canvases, brushes, and paints. You must register prior to each class date .